In Puglia there is so much more to see and do than to go dancing on the Salentine beaches. 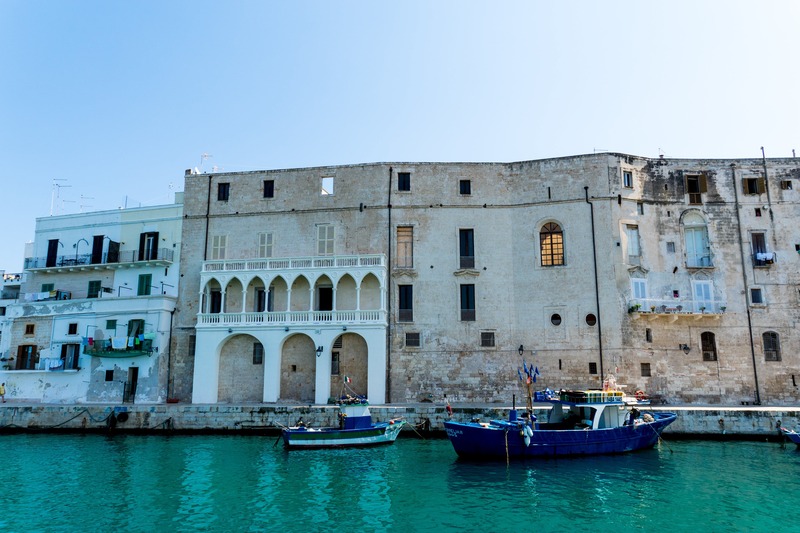 Here’s a look at the culture, food, art and undiscovered nature of Monopoli, a gem in the Valley of Itria. 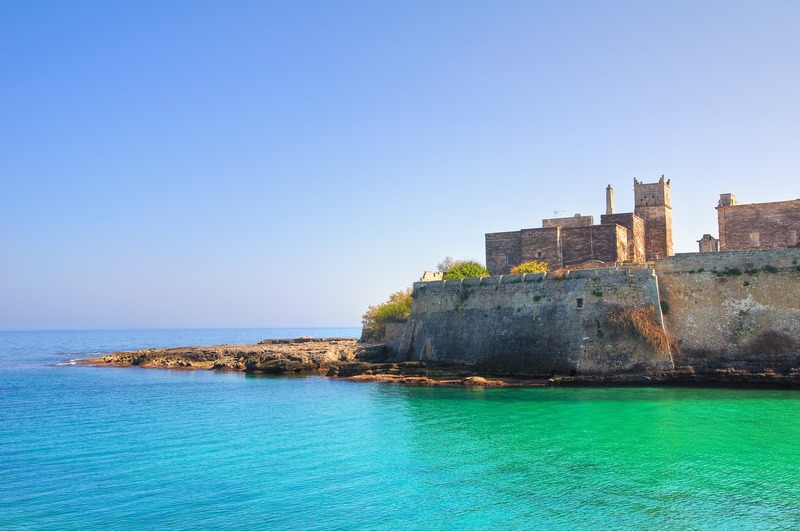 Three things usually come to mind when one thinks about Puglia: Crystal clear aquamarine water, lively festivals and events such as the Night of the Taranta, and the swarming summer holiday crowds. However, I think of roots, both my familial ones and those of the olive trees that make the red Pugliese landscape so special. I think of the orecchiette that my grandmother taught me to make by hand when I was little, and I think of Monopoli, an ancient fishing village that for five years has been my buen retiro. 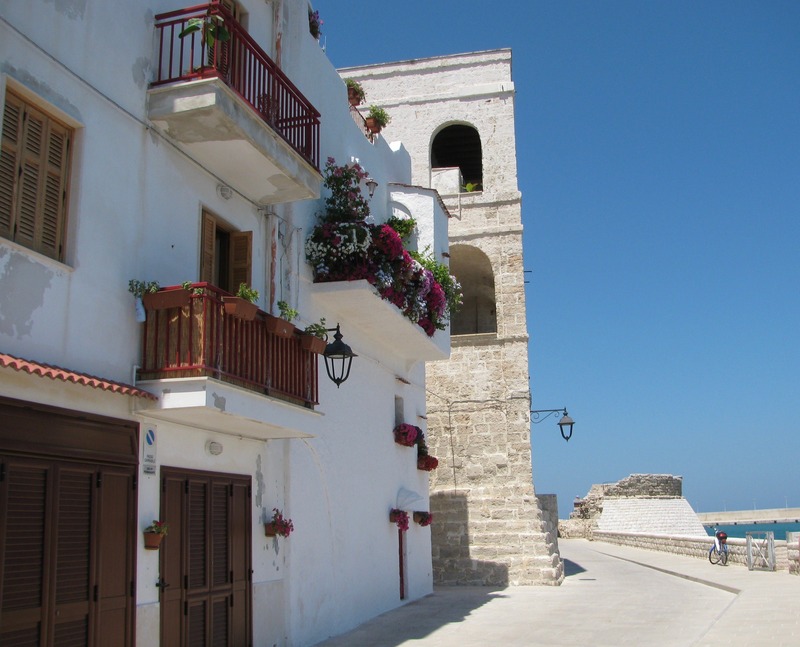 White houses with flowered windowsills characterize Monopoli’s historic center. During lunch, tantalizing aromas seep out the windows, stirring the appetites of the passers-by. In the ancient harbor, the water is as blue as the gozzi floating beside the docks. Locals gather around these traditional canoes displaying the morning catch to shop for their daily repasts. In the picturesque Piazza Garibaldi, a magnificent municipal library has recently been inaugurated inside an old building, where elements of design and modernity contrast with the building’s ancient, solemn atmosphere. The library houses several antique books that tell the story of the territory as well as a selection of contemporary works and films. The piazza’s La Dolce Vita restaurant is known for authentic dishes prepared with local ingredients. Make sure to try il coccio, linguine prepared with the day’s catch. But that’s not all! The pasta is placed in a terracotta pot, topped with pizza dough and put in the oven. The cooked pizza dough serves as a scarpetta, which literally means “little shoe”, the shape bread takes when one soaks up the sauce from a plate. With compliments to the chef, not only did I freely and fearlessly get my scarpetta on the first time I tasted this, but I also treated myself to second and third helpings from our “coccio”, honoring the unspoken laws of Italian hospitality while embracing my Puglia origins with pride. 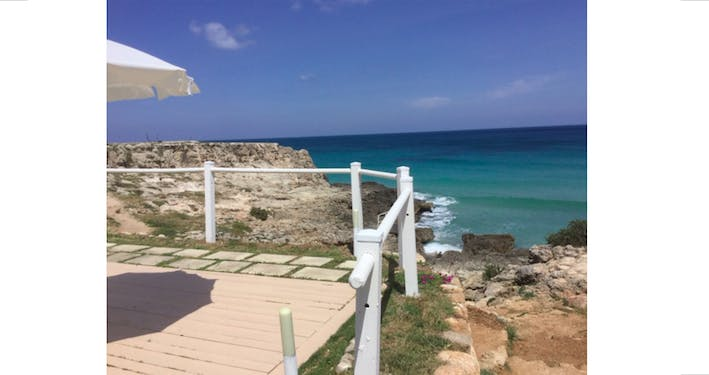 Monopoli’s postcard-perfect sea views include the shores of Cala Porta Vecchia, the old town’s golden beach from which the bell tower of the baroque cathedral and dome of Santa Teresa emerge. Also continuing south through the scented chamomile and poppy fields by bike or on foot, take care to have an umbrella, mask and snorkel in tote. Swimming in the sea is just spectacular, even for those who, like me who aren’t too keen on beach. It is impossible to resist taking a tip in the crystal clear waters of Porto Ghiacciolo, an inlet in the shadow of the Benedictine Abbey of Saint Stefano, where fresh water currents meet the sea, both cooling the water’s temperature and making the already pristine water even clearer. Porto Nero is a white sand cove among dark rock cliffs that conceal underwater caves reachable by swimming or canoe only. Here the La Perla Nera rises, an oasis of silence and perfume that has nothing to do with Jack Sparrow or pirates: In this corner of paradise it is possible to sip a delicious cocktail in the sun (or under the elegant white umbrellas) after your dive, and relax with a poolside massage. La Perla Nera is not just about the sea, but also about good food. After a refreshing swim, you can taste one or more of the following delights: mussels with black pepper, seafood salad, shellfish, mashed fava beans with chicory, zucchine alla poverella (a local specialty), fried artichokes, amberjack ravioli with a sauce of sea urchin and Primitivo wine, smooth panna cotta and a chocolate “salami” with almonds from Monopolitano. Those who don’t want to spend their holiday basking in the sunshine can head inland to discover centuries-old olive trees and chiese rupestri, millennial-old underground settlements where people once lived and worshipped that are more than one thousand years old. Initially used as a refuge from the attacks of barbarians coming from the sea, chiese rupestri eventually evolved into homes where people lived, worked and worshipped. There are 25 in the region including Santa Cecilia and Christ Campanerello, which features magnificent frescoes, reminders of the Catholic and Orthodox faiths that had shared the worship spaces. 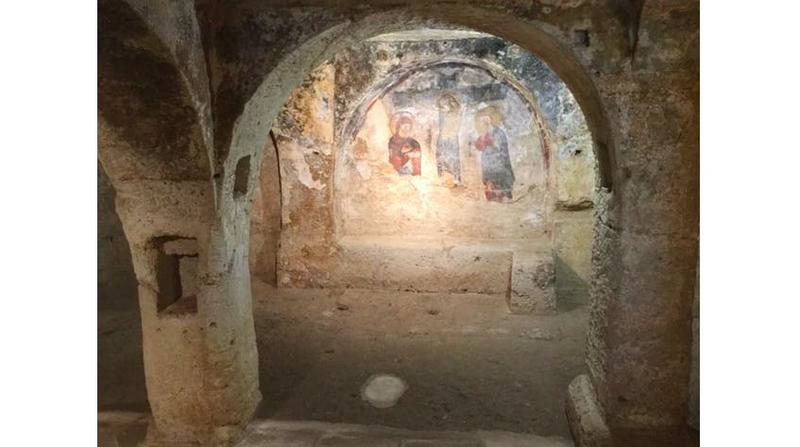 Art and history enthusiasts will enjoy the historc center’s two rock crypts, the Madonna del Soccorso and the one beneath Santa Maria dell’Amalfitana, where Amalfi sailors once took refuge to pray and thank the Madonna for helping them escape a shipwreck. Santa Maria del Suffragio, known as “Il Purgatorio” to locals, is dedicated to the triumph of death. Eight mummies that were once brethren rest in the room beside the sumptuous baroque altar. The Basilica Concattedrale di Maria Santissima della Madia displays wooden boards that, according to tradition, the Madonna made appear miraculously in the city’s port so that the inhabitants could finish building the cathedral.